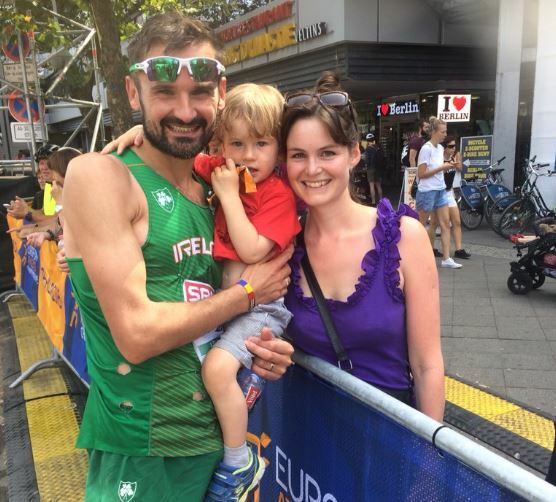 Clonliffe`s Valdas Dopolskas running for Lithuania had a fine run indeed in this morning`s European Marathon in Berlin. Valdas was 20th in 2.18.58. Sergiu Ciobanu will be somewhat disappointed with his run finishing 36th in 2.19.49. Other Irish: Kevin Seaward 15th (2.16.58), Mick Clohisey 18th (2.18.00), Sean Hehir 25th (2.18.58), Paul Pollock 47th (2.23.26). Race winner was Koen Naert (BEL) in a championship record of 2.09.51. In the team result Ireland placed 6th with Italy taking gold. ← Friday night lights: Richie’s back!